Where is great design going to take your non profit? website design & hosting, Search Engine Optimization, ​digital marketing, social media marketing, copy writing, fundraising campaigns & digital photography. Heidi Grassley, owner of HMG Design, is not only a great person but her knowledge of website design and her wide range of well developed digital marketing skills is highly beneficial to any organization. Heidi project managed the design and build of a large website project and marketing communications campaign. She guided, coached and trained our team with passion, patience and expertise. I highly recommend Heidi Grassley and team at HMG Design. HMG Design completely redesigned our website to be more user friendly, not only for those visiting the site, but for those of us working on it as well. Heidi Grassley is very knowledgeable about current trends in web design and digital marketing. She clearly explained her vision on how to go about improving our website. She asked what we needed and did an incredible job interpreting them. The support we received was excellent and Heidi has been an immense help in teaching our team how to navigate the new website and maintain it. Knowing not all of us are tech savvy, she recommended a platform that is easy for us to use and make the necessary updates, saving us an abundance of time making the edits. Heidi did an outstanding job designing our new website and was an amazing and inspiring trainer. We would give her the highest of recommendation. 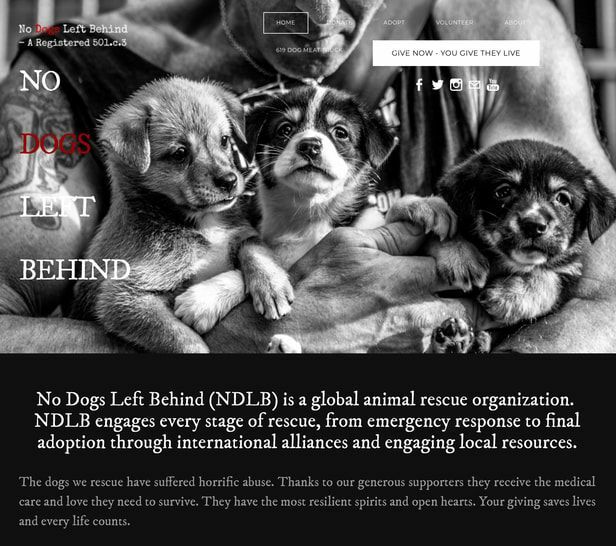 Heidi Grassley of HMG Design has just designed a brand new fabulous website for our NGO Non Profit CARE Nevis Animal Society. I have known Heidi as a photographer for many years and this creativity translates so brilliantly into her ideas for the visual impact of any website. Not only did she create a stunning website with clear adoptions and donations pages, and a new blog, she taught us about the how best to use the website for maximum impact and optimization purposes. A delight to work with, Heidi brings highly developed skills to non profit website design and digital fundraising as well as an understanding of the client's needs that are unmatched in my experience. Contract Heidi Grassley to design your new non profit website project, you won't be disappointed. HMG Design specializes in building non profit websites which share many of the same best practices as any typical corporate website. They need to have an easy user interface, simple navigation, and appealing fonts, colors, stunning photography, strong design elements. But non profit websites need to offer more than your typical business site. A non profit’s website needs to make it easy to find out more about the mission, donate money, and to become more involved. The website needs to make contacting your organization simple for all those who wish to connect on a deeper level. And it needs to do all this in a way that’s inviting to the organization’s targeted donors and volunteers. The most important information visitors need to know, is your organizations purpose. Visitors need to know why you exist. It is best to have a concise and clear statement on your home page that also links users to a page dedicated solely to your mission. Your cause is moving, and your mission is exciting. But now, what can your supporters do to help? Make sure you make it clear for your visitors both what they can do, and how to do it. Providing multiple means of contact makes it easier for volunteers to get in touch, so include an email address, phone number, and a web contact form if you can. One key to creating a great non profit website is making your site donor friendly. Non profit organizations cannot succeed without the generosity and support of others. And in today’s internet era, a huge chunk of donations are going to be made online. So your website can be a great place to solicit donations, especially from new donors. It can also make it easier for recurring donors to make additional donations. In either case, you want it to be a simple and straight-forward process for people to give you money. And be sure not to limit the ways your supporters can donate. Provide the option for both one-time and monthly donations, as well as clear instructions for those who want to donate by mail. No Dogs Left Behind. Webmaster, Website Design, Digital Marketing, SEO, Social Media Marketing, Online Fundraising Campaigns and management of strategic partnerships. CARE Nevis Animal Society. New Custom Website Build & Design. 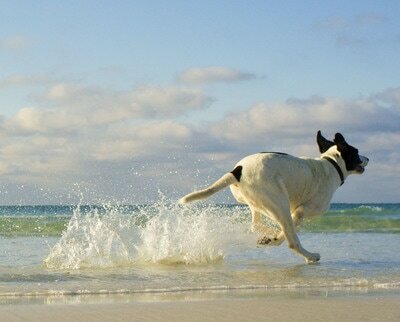 The Gulf Coast Humane Society, Fort Myers FL: New Custom Website Build & Design. The Edison & Ford Winter Estates: $5.0 million annual operating budget earned from revenues of the non-profit charitable educational organization. Strategic planning, management, human resources, marketing, public relations, website development & design, membership program development, retail management, online ticketing. The Gredley Charitable Trust: $1.5 million raised for elderly services program. Management, organizational & program development, fundraising, corporate sponsorship, event management.